Is there anything better than live music in the open air? 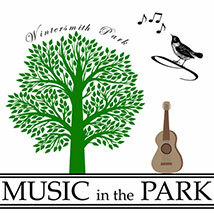 Come enjoy a series of outdoor concerts taking place all summer long at beautiful Wintersmith Park in Ada. Presented by the City of Ada and the Happyland Music Alliance, this free summer concert series has something for everyone. Whether you’re in the mood for soulful Americana or party-ready classic and alternative rock, you’ll find something that pleases your ear at Music in the Park. While you’re there, take a stroll around City Lake and explore the 1.5-mile lighted nature trail at this gorgeous and historic Civilian Conservation Corps park in the heart of Ada.